The Button Module adds a customizable button and a link to another page or resource. 1. 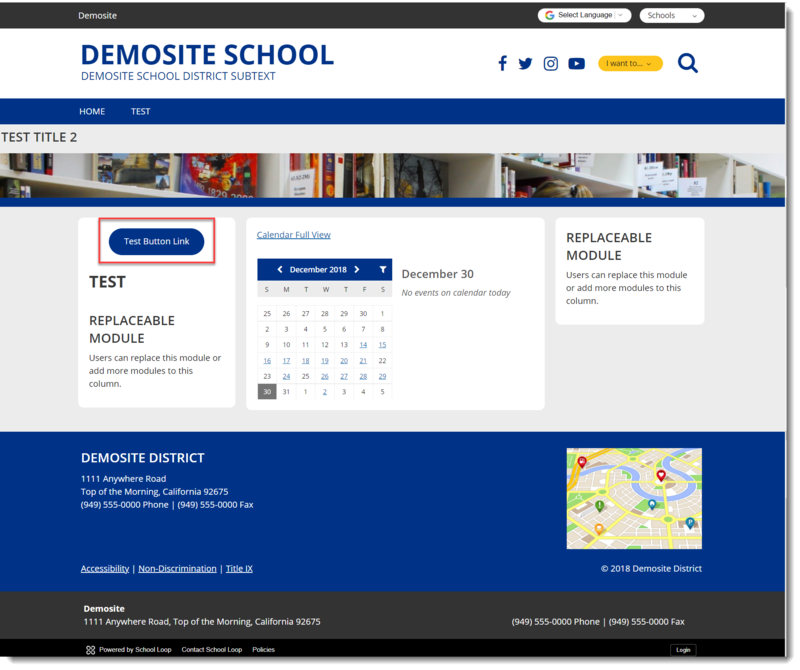 At the Insert Module screen, select the Button tile. 2. The Button Module will appear on the page. 3. Click Format to choose the size and position of the button. There are 9 different formats with various size and position combinations. 4. Click the Link icon to enter the URL. Preview or Publish your page to see what the button link looks like on your website.